Managers are encouraged to perform the test, in which they ask themselves whether they would fight to keep an employee. Hastings even used it to fire a close friend, Netflix’s chief product officer Neil Hunt, last year. “I would not have chosen to move on at that particular moment, but you have to separate the emotion from the logic,” Hunt told The Journal. But this company culture has left some executives uneasy, and, according to The Journal, they fear for their jobs every day. As Netflix has grown into a media giant, helping to revolutionise how people consume television, it has developed a tough corporate culture with high standards. A Wall Street Journal report on Thursday shed light on the streaming service’s radical ways based on anecdotes from more than 70 former and current employees. 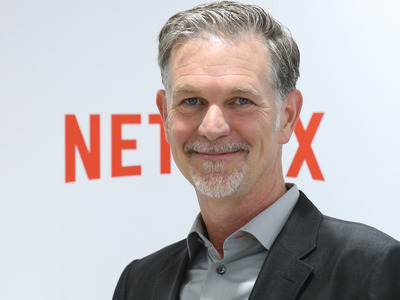 According to The Journal, Netflix CEO Reed Hastings is “unencumbered by emotion” and routinely uses a “keeper test” to evaluate employees. He even used it to fire a close friend, Netflix’s chief product officer Neil Hunt, last year. Hunt had been with Netflix for 18 years. What is a keeper test? Here’s how Netflix has described it: “If one of the members of the team was thinking of leaving for another firm, would the manager try hard to keep them from leaving?” If an employee doesn’t pass the keeper test, the person is “promptly and respectfully given a generous severance package so we can find someone for that position that makes us an even better dream team,” Netflix said. Hastings apparently felt the company had grown past its need for Hunt last year and told him the company’s former international development officer Greg Peters would be taking his place as product chief. Hastings’ commitment to the keeper test has left some executives uneasy. According to The Journal, many attendees at a meeting of Netflix public-relations executives in the spring said they feared losing their jobs every day they came to work.